OAKLAND — Mayor Ron Dellums said Monday he will ask for an outside investigation by either the state or federal justice departments into Oakland homicide Detective Sgt. Derwin Longmire’s handling of journalist Chauncey Bailey’s 2007 killing. Dellums, responding to reports Sunday and Monday by the Chauncey Bailey Project that Longmire ignored evidence of former Your Black Muslim Bakery leader Yusuf Bey IV’s role in Bailey’s killing, said he is likely to make a formal announcement today. It was unclear whether he will ask the state or federal government to intercede. 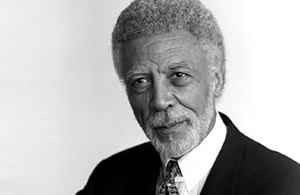 “It’s a no-brainer,” Dellums said of the need for outside intervention. Deputy Police Chief Howard Jordan refused comment and did not respond to a question about Longmire’s job status. Sources close to the investigation said it appeared Longmire remained on active duty Monday. District Attorney Tom Orloff said in an e-mail Monday he couldn’t discuss the case. Two investigators from the D.A.’s office are working on the Bailey killing independently from Oakland police. California Attorney General Jerry Brown said late Monday he would intercede if Dellums made such a request. “The case is complex,” Brown said. “I am ready and willing to serve if called.” Brown said he did not know Longmire personally from his tenure as mayor of Oakland, and would not “rush to judgement” based on news reports. Dellums spent much of Monday huddled with other city leaders, working on details of the request, the scope of which remained unclear late Monday. It appeared he will ask for an independent investigation of Longmire, effectively removing the police internal affairs unit from that role. It remained unclear if Dellums would request that the outside investigators also examine evidence that could lead to charges against Bey IV and others in Bailey’s killing. Several Oakland City Council members said they supported Dellums’ decision. “It is an absolute necessity to restore public confidence in our ability to investigate cases,” said Council President Ignacio De La Fuente, who has been critical of the police in the past, including about the handling of a case in which his son was convicted of sexual assault. “It has been more than a year since the (Bailey) murder and nothing has happened,” De La Fuente said of the lack of arrests. Only one person, Devaughndre Broussard, a handyman at the former bakery, is charged in Bailey’s killing. The evidence Longmire failed to document in his case notes, as required by department protocols, includes data from a tracking device on Bey IV’s car that showed he stalked Bailey seven hours before the Aug. 2, 2007 killing, parking outside his apartment for 14 minutes. Longmire also subpoenaed Bey IV’s cell phone records but never documented or performed any analysis of them. The Bailey Project analyzed those calls and found they show Bey’s phone connected with the phone of an acquaintance of Bailey’s during those 14 minutes, as Bey IV, Broussard and another bakery follower, Antoine Mackey, were parked at Bailey’s apartment. They also show a series of calls to and from Mackey’s phone around the time of the shooting. Bey IV, who is jailed on unrelated charges, has denied any involvement in Bailey’s killing. Bailey’s sister, Lorelei Waqia, said she was relieved to learn Dellums would request an outside investigation. Waqia said she can’t even get a phone call returned from police to check on the status of the investigation into her brother’s killing. The international journalism organization Reporters Without Borders, which has called for a federal takeover of the Bailey homicide investigation, praised Dellums’ decision Monday. “The more you look at this case, the more disturbing it becomes,” said Lucie Morillon, a spokeswoman for the group in Washington, D.C.
Thomas Peele is an investigative reporter for the Bay Area News Group. Bob Butler and Mary Fricker are independent journalists. Reach them at Tpeele@bayareanewsgroup.com, Bobbutler7@comcast.net and Maryfricker@hughes.net. KTVU Channel 2 News, a member of the Bailey Project, contributed to this story.